Yes, Smith is literally an island, which means you can only get here by boat. Here is a helpful link to help plan your arrival. The Smith Island Center’s collections examine the Island’s prehistoric occupation and over 300 years of continued residency by settlers from the British Isles and their descendants. Smith Island is so closely associated with crabbing and oystering that few know that the first Smith Islanders were farmers. As erosion and rising water levels made farming increasingly difficult, residents turned their focus from land to water in response to the rising demand for seafood and wildfowl. Highlights include traditional water- craft, an examination of waterman culture and island life, and a film featuring interviews with Islanders. 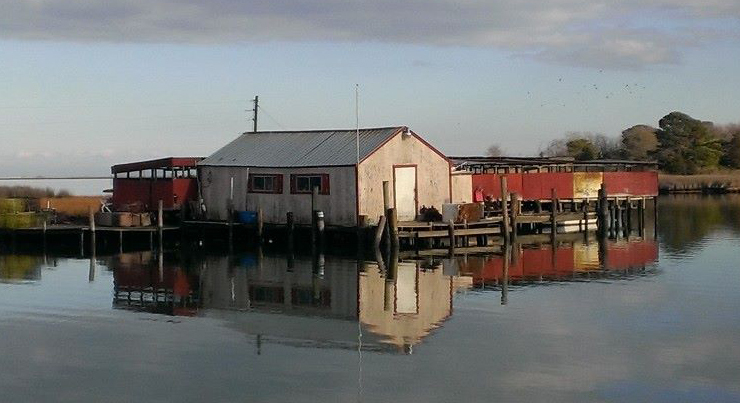 The Smith Island Cultural Center is operated by the Crisfield and Smith Island Cultural Alliance, Inc.